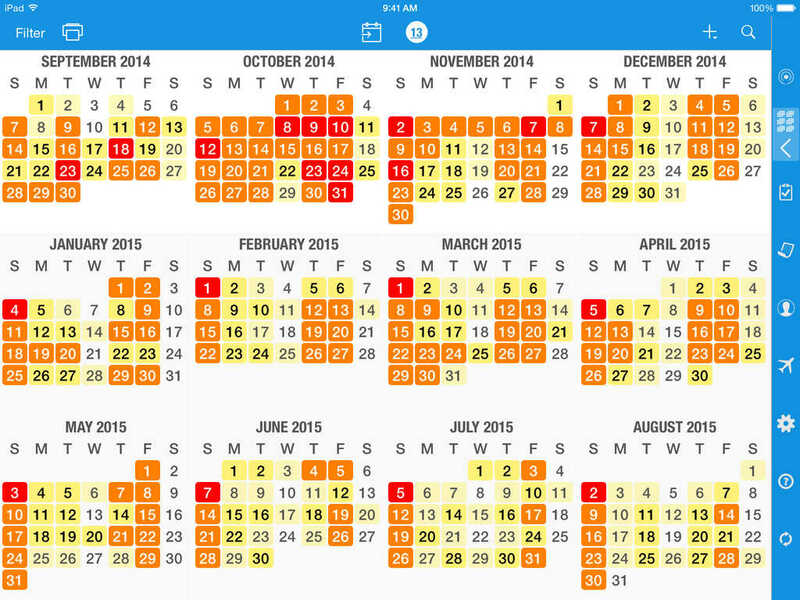 The popular all-in-one productivity app Pocket Informant has just been enhanced with another significant update. As expected, being the first major update to arrive for Pocket Informant following the release of iOS 8 and the launch of the iPhone 6 and the iPhone 6 Plus last month, the new update adds optimizations for Apple’s new mobile operating system and new iPhones. In particular, Pocket Informant’s iOS 8 optimizations add support for new features. 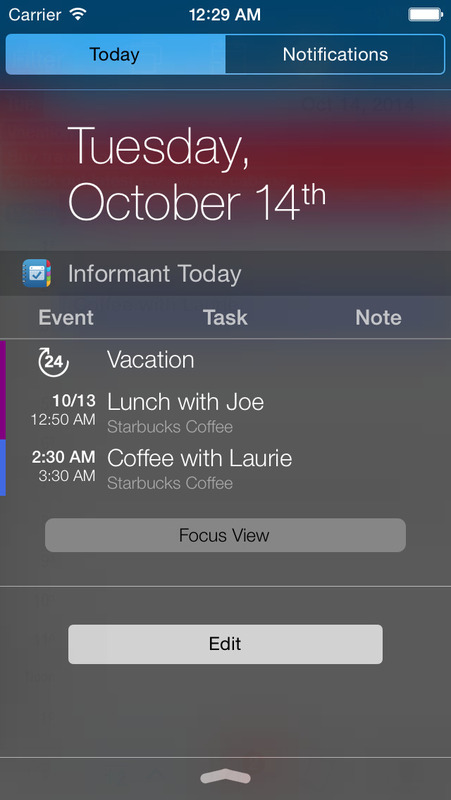 These include Pocket Informant’s own Today widget in iOS 8′s Notification Center and alarm actions on interactive notifications. Also included are data protection via Touch ID integration and task and note creation right from Safari and the Notes app via Pocket Informant’s share extension. 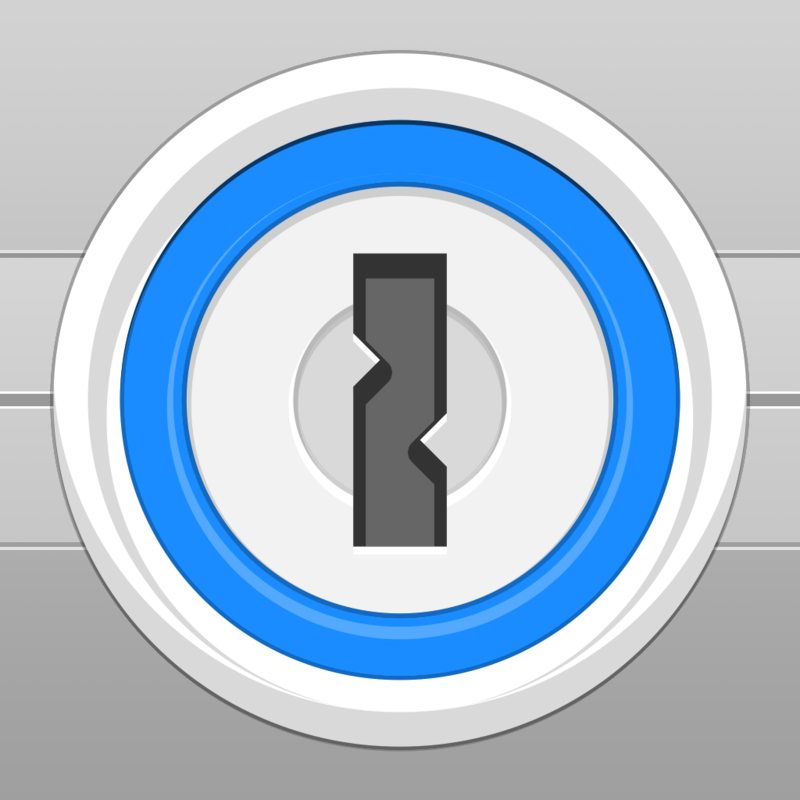 Pocket Informant’s iOS 8-optimizing update also enables integration with 1Password, allowing you to log in to Informant Sync, Google, or Toodledo using the popular password management app. 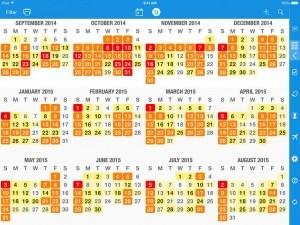 Aside from its enhancements for iOS 8, the latest update to Pocket Informant introduces a new year view with an event “heat map,” which uses colors of different “temperatures” to show at a glance which days are heavy on events. It also introduces a new and more intuitive default theme, adds support for the latest API of Toodledo, and delivers bug fixes. Compatible with iPhone, iPod touch, and iPad running iOS 7.1 or later, Pocket Informant is available on the App Store for free, with in-app purchases offered for unlocking premium features. Pocket Informant’s previous major update arrived in June, bringing a new TravelAssist feature, support for Apple’s iBeacon proximity-sensing technology, and other enhancements.